We do a grocery store run each week, and sometimes we go to Costco as well. 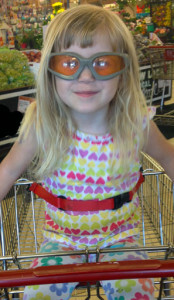 Most folks think that grocery shopping with a preschooler is torture, but we make it through the store each week without any major meltdowns. How can this be? Partly because I work from home, and can shop when we’re rested and well-fed. We have a menu plan and shopping list so the trip goes smoothly. Then we don’t have to wander the aisles looking for ingredients while recipe ideas pop into my head. I use other little tricks to keep her distracted focused while we shop. We don’t go down the cereal aisle or cookie aisle, for example. Neither one of us needs that kind of temptation. I also explain what I’m doing as we go through the aisles. We look at the way items are priced (the bigger packs aren’t always cheaper) and the different ways the store tries to “trick” us into spending money. She thinks it’s fun to outsmart the store! 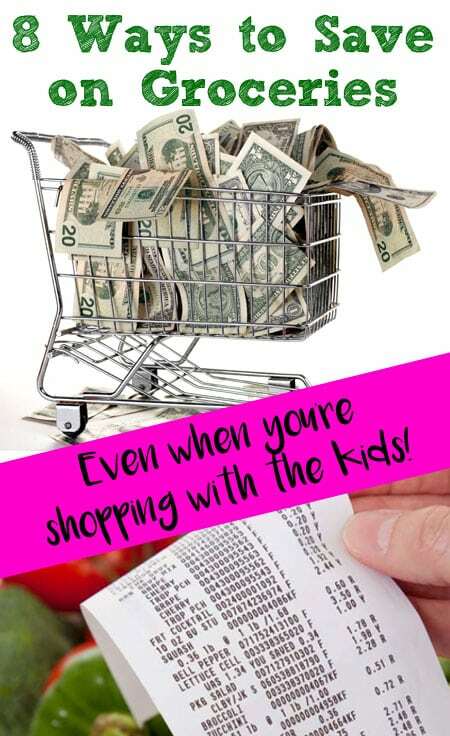 Here are my favorite ways to save at the grocery store, and some of the things I tell Little Peanut while we’re shopping. Don’t buy drugstore items at the grocery store. The markup can be as much as 300%! Get items like trash bags, shampoo, dish soap, and toothpaste at Target or Costco. Extra credit (and big savings) if you make your own laundry detergent, all-purpose cleaner, or air freshener spray. Watch the cash register. Stores change prices on items every week, and often if something rings up incorrectly you’ll get it for free or at a discount. Say “no” to impulse buys. If the kids want something that’s not on the list, empathize but explain that you’re only getting items on the list today. If you try to dissuade them (“You don’t really want those cookies…look at this delicious kale!”), they’ll just become more adamant. It’s OK to admit that the cookies look good—offer an acceptable alternative, or make these easy granola bars when you get home. If the store runs out of an advertised special, go to the customer service counter and ask for a rain check. This allows you to buy the advertised item at the sale price when the item has been restocked, even though it is no longer on sale. Rain checks usually have an expiration date–make a note on your calendar so you don’t miss out on the savings. Shred your own cheese. The pre-shredded stuff is more expensive and is coated with cellulose powder (made from cotton or wood pulp—yum!) or calcium sulfate (used in building materials—double yum!). With a box grater and a little guidance, this is a great way to get your kids to help in the kitchen. Take advantage of everything the store offers. If ground beef is $5 a pound but chuck roast is $4, ask the butcher to grind up a couple of chuck roasts for you. The butcher can also tenderize steaks, carve up a roast, and some will even sharpen your kitchen knives. Buy dried beans and cook them yourself. For example, 1 pound of dried pinto beans at Winco is 99 cents. At first glance, a can of pinto beans at 79 cents might seem cheaper—but the bag makes 6 cups of cooked beans, and the can only contains 1 ½ cups. And it’s easy to make refried beans in your slow cooker. Bonus Penny-Pinching Tip: Yes, the water that is sprayed on the produce helps keep it fresh. 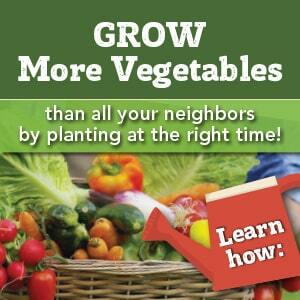 But it can also add weight to your leafy greens. (Kale, anyone?) So be sure to gently shake them off before bagging. Want more tips? Here are more Ways to Save Money on Groceries. Thanks for taking the time to explain these tips for saving money while shopping. My wife and I often go grocery shopping and spend way more money than we intended. I like you tips shred your own cheese and cook your own beans to save money. I would have never thought about that. Thanks for these ideas!